As always, for the best magento fashion theme, I would recommend Themeforest as a trustable market place where the design and look quality were invested very much. If you have ever tried to submit a theme to sell on themeforest you will know how much work a theme author have to invest to get it approve. If you want to get a very roughly number for it, I would say roughly 6 months working to get just one magento theme to publish and sell on this market. It is in the case you work effective and you are a very good designer or it can take long and longer much more. So I talked too much about marketplace, let ‘s focus to 10 best magento fashion themes as the main topic of this post. 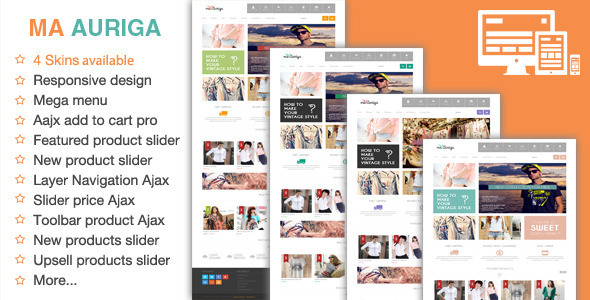 Responsive always a nice feature for new magento themes and this is a strong feature of this theme. I am pretty sure you will like how this theme work in multi size browser. Auriga theme use Bootstrap – an aplication of Twitter. It helps layout of website more logical and cleaner. With 4 available colors : red, blue, green, pink; probably, your website will be congruent with your store image. This theme integrated many extensions such as : new products slider, featured products slider, brand slider, ajax cart super, upsell slider, related slider.. These extension make this theme more flexible.New products slider, featured products slider bring slideshow of new products, featured products. Brand slider module bring slideshow of image of brands. 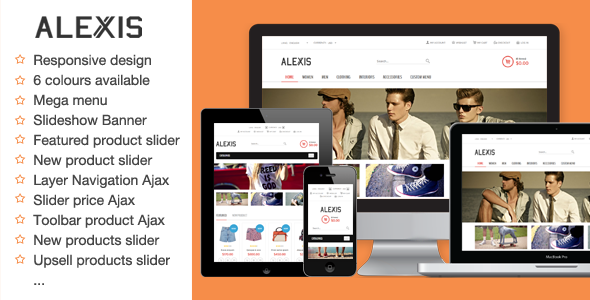 Alexis is a slick sofisticated responsive Magento theme template design. Exclusive layout, speed, nonstandard solutions will be eyecatching for the customers. Take a look and enjoy using our theme. 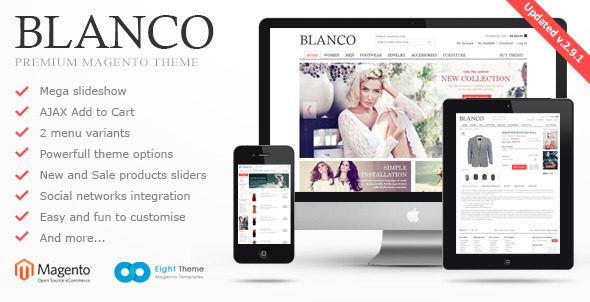 We are sured that this is one of the best magento theme ever seen. 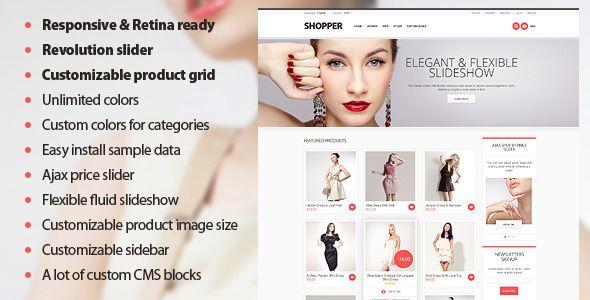 Fashion Magento Template is dedicated for fashion, jewelry, apparel and clothes stores. 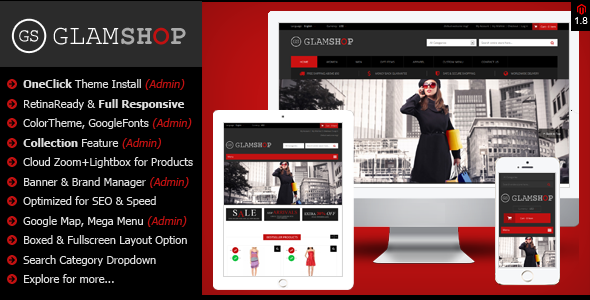 With some free extensions and customization fashion magento template is dedicated for all fashion, jewelry, apparel and clothes stores. I have seen that Theme which you suggested.It’s a really nice Theme.But recently I’m using of them “Ad-Beaut” Responsive and Multipurpose Magento 2 Theme which have amazing features,that proven to me very useful. It is really a spectacular list I have ever seen.Thanks to share.